This is an interesting idea. I think an addon that recommends a drink based on what you're watching could be very cool. "You're watching Mad Men, maybe you'd like an Old Fashioned? Here's the recipe..."
You have done such a great job on this API. I had to create an application for one of the projects of my online course (Android Developer Nanodegree by Udacity) - https://www.udacity.com/ so I have no interest in making any money from it. The app will be free and I'll link people to your API. If anyone would like to use this code to build something of their own, I would be more than happy but please message me first. A-Z list added to the front page so its more easily browsable on the website. I like the site and the addon/screensaver but it's missing my favorite drink, a Cherry Electric Lemonade (WARNING! you can't drive for at least 6 hours after drinking this.). Now stir vigorously and then pour over a large cup of ice. Now drink it with a straw and stir occasionally. Is there any way for users to upload new drinks, and maybe a filter page for only showing drinks you can make based upon what ingredients you have on hand? I love this! I was going to upload some images. Can we use some random pics off a google search? Yes either make the cocktails yourself and take a photo, or just find a nice picture from google image search and upload. The addon will really come alive once people start adding images. Also, I'll add any new cocktails people post here or private message me. (2015-12-24, 17:01)MacGyver Wrote: I like the site and the addon/screensaver but it's missing my favorite drink, a Cherry Electric Lemonade (WARNING! you can't drive for at least 6 hours after drinking this.). Oh and I just added 100 new ingredient transparent PNG images. That should flesh out the site a lot. 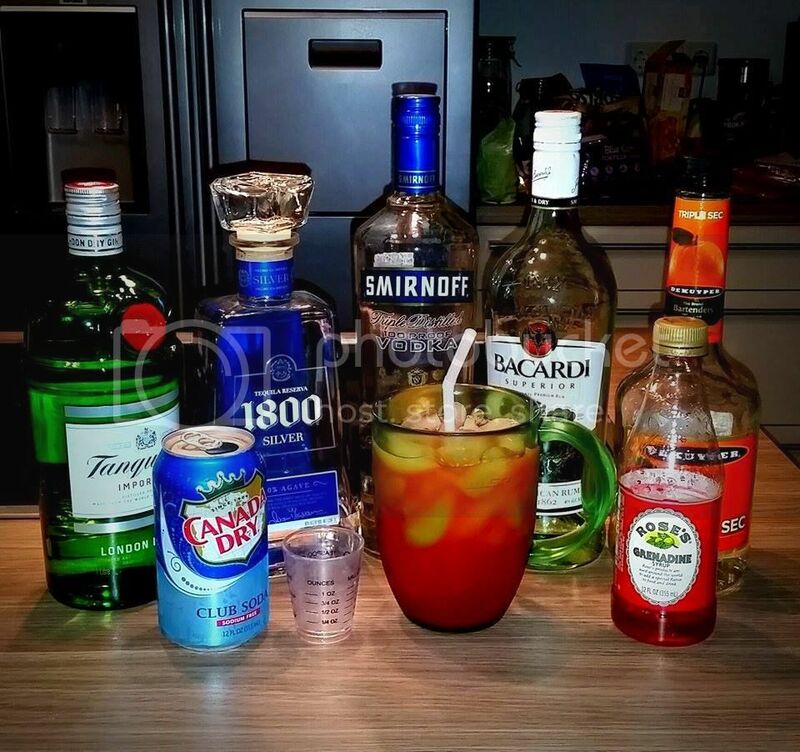 Still need people to upload their drink images. Cool, but it's 3 oz of club soda. You might want to include the recipe for sweet and sour and the one for simple syrup too. The letter menus also only show 100 drinks per page and have no "next page". I really like the API design, I can see this being used in conjunction with bar robots and open source automatic drink machines. I can't wait to see how it grows. Thanks again for adding my favorite. If you do try it, make sure the sweet and sour is as fresh as it can be. Thanks the firefox issue should be fixed now. Also 500 drinks on the A-Z page should be enough. (2015-10-23, 12:00)tree_and_kite Wrote: This is an interesting idea. I think an addon that recommends a drink based on what you're watching could be very cool. "You're watching Mad Men, maybe you'd like an Old Fashioned? Here's the recipe..."
With movies too! Heineken or Wodka Martini - shaken, not stirred - for any Bond movie. (2016-01-29, 10:05)Sjors125 Wrote: With movies too! Heineken or Wodka Martini - shaken, not stirred - for any Bond movie. (2015-12-28, 14:13)zag Wrote: Oh and I just added 100 new ingredient transparent PNG images. That should flesh out the site a lot. Still need people to upload their drink images. I love this idea and would like to help make the database more complete. Do you have a list of ingredients that still need images?